Until now, the Audi S7 has been a unicorn in the world automotive spy photography. 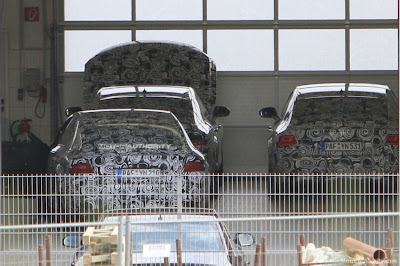 Certainly there has been no shortage of A7 spy shots, however a glimpse of the more potent S has been non-existent. 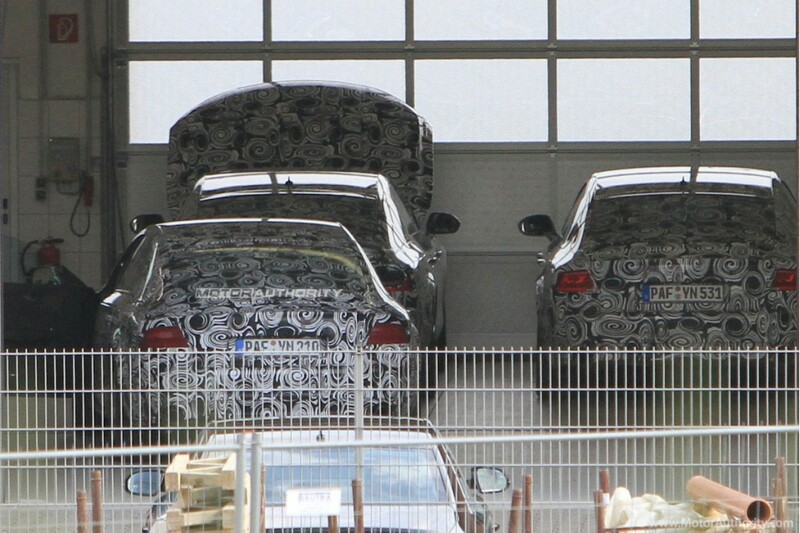 Caught outside the Nürburgring, the prying eyes of MotorAuthority's spy photogs offer the first definitive proof that the Audi S7 does exist, even if under the guise of test mule camouflage. Larger front air intakes, quad exhaust and noticeably larger sport wheels are all cues that this is not your everyday A7 test mule. The question of what will power the Audi S7 is met with rampant speculation at this point. We'd imagine a 4.2-liter V8 variant producing somewhere in neighborhood of 400 horsepower would be sufficient. Whether or not a turbocharger will be included in that equation is anyone's guess. Not to mention, this would leave room for an RS7 application if the folks at quattro GmbH feel so inclined. Update: As far as the engine goes, most sources are pointing to a 4.0T V8 to be found in the S7. But as we said, as far as specific output is concerned, it's really anyone's guess at this point. Fourtitude posted a really nice writeup concerning the S7 speculation, pointing out what each site is saying and what their thoughts on the subject are, definitely worth a read. Also, we thought this garage shot was especially cool. It's not everyday that you can see inside an Audi test car facility. Head over to MotorAuthority for the full photo gallery.